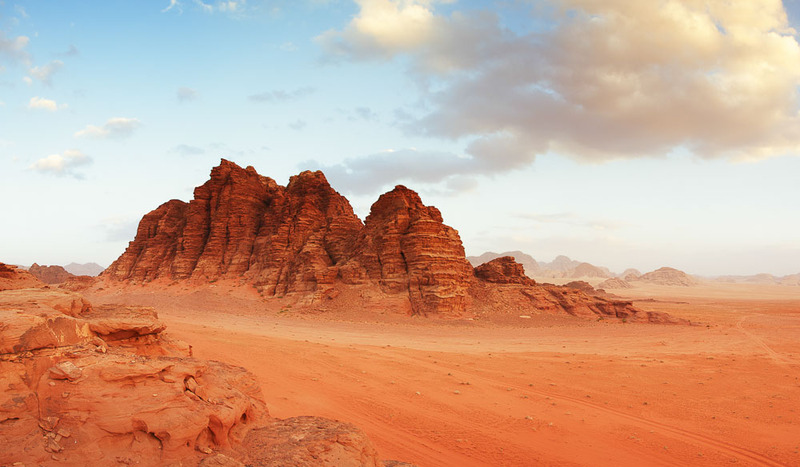 Wadi Rum desert, Jordan, a whole lot more than just the location for film Lawrence of Arabia. UNESCO’s World Heritage list is a beacon for curious travellers and a boon for the site itself. These 5 stand tallest in both splendour & cultural oomph . Comprising of 1.5 million hectares of seemingly endless savannah, Serengeti National Park in northern Tanzania is home to two million wildebeests and hundreds of thousands of gazelles and zebras, who make their annual migration to Kenya’s Maasai Mara every year – one of the world’s most incredible natural phenomena. Room to graze: Serengeti National Park, Tanzania, covers 1.5 million hectares. The UNESCO recognised park is also home to at least four globally threatened and endangered species: the black rhinoceros, elephant, wild dog and cheetah. The Old Town of Lijiang was an important trading centre in the 12th century as it is where the Silk Road joined with the ancient Tea Horse Road. At an elevation of 2400 metres in southwest Yunnan province, the historic townscape’s meandering maze of narrow laneways and timber houses with slanted tiled roofs, has unique and well-preserved architecture from the Ming and Qing dynasties. The surrounding mountains, rivers and trees are also well-preserved with an ancient ingenious water-supply system still in function today. On the west coast of Greenland, 250 kilometres north of the Arctic Circle, the Ilulissat Icefjord is around the same size of 66,000 football fields. This massive collection of icebergs sits at the point where the Sermeq Kujalleq glacier, the fastest moving in the world, calves into the sea. Stranded icebergs in the fog at the mouth of the Icefjord near Ilulissat, Greenland. This awe-inspiring phenomenon has been studied for more than 250 years to help develop an understanding of climate change. Located near the border of Saudi Arabia, this 74,000-hectare site represents millions of years of desert landscape evolution. 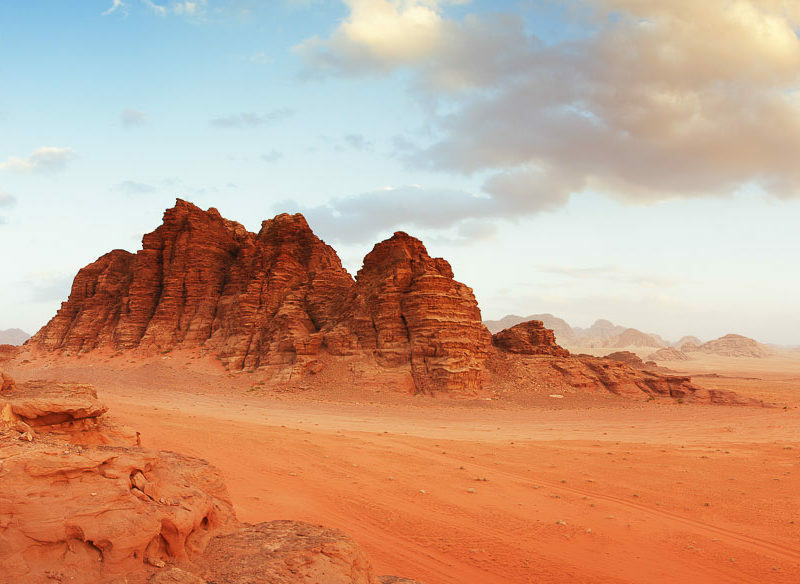 Wadi Rum in Jordan, ranked #62 in our countdown of ‘100 Ultimate Travel Experiences of a Lifetime’. Along with its spectacular natural attractions – narrow gorges, natural arches, soaring cliffs – Wadi Rum possesses archaeological remains, some 25,000 rock carvings and 20,000 inscriptions to indicate 12,000 years of human occupation and the evolution of pastoral, agricultural and urban activity. Located an hour west of Krakow, the two concentration and extermination camps of Auschwitz and Birkenau were the biggest and most notorious established by Nazi Germany. Around 1.5 million people were premeditatedly starved, tortured and murdered here between 1942 and 1944, and as such the site is a symbol and evidence of the inhumane cruelty towards fellow human beings. The site retains a high level of authenticity in its fortified walls, barracks, gas chambers and crematoria, and possesses many personal items of the victims.